Indie Author Karen McCann: The importance of defining your audience and how you use your blog to attract your target demographic. 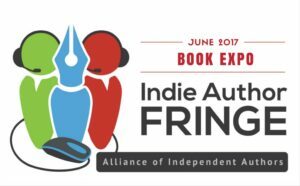 Indie Author Joe Cawley: The benefit of Collaboration: Cross-promoting with other authors. Jack, Karen and Joe bring a different perspective on how they use their blog and collaborate with other authors to raise awareness of their books and reach their target audience. I interviewed each author individually and due to time constraints I’ve edited each session down to 20 minutes each. Jack is giving away an e-book edition (Kindle or ePUB) of his memoir – Turkey Street, Jack and Liam move to Turkey. Turkey Street, the sequel to Jack Scott’s award-winning and best-selling debut book, Perking the Pansies, ties up the fraying loose ends to bring Jack and Liam’s Anatolian adventure to its surprising finale. Hi, thanks for all the excellent videos. Jack Scott talks about entering travel writing competitions. Is it possible to get the names of those competitions?